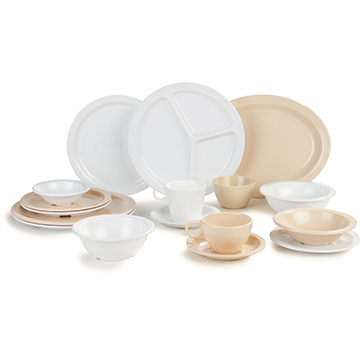 Carlisle Kingline is the standard all purpose melamine dinnerware for larger foodservice operations. The gloss finish aids in scratch resistance and helps prevent stains, which means Kingline melamine dinnerware will stand the test of time, even against the rigors of restaurant and catering use. Choose from a variety of classic colors suitable for any establishment or event, including white, blue, black, and red.